The OCC fined these banks a huge sum of money and agreed on a settlement in which the government would no longer pursue these services for their misdeeds. The government did not call this a bail out in fear of citizen upheaval. Instead, they call it a settlement fund. However, the upside to this is this. If your primary residence was in foreclosure between Jan 2009 and Dec 31, 2010 and you were foreclosed by one of the above servicers, then you might be entitled to between $2000 to $50,000 from the government. Look, if you’ve already lost your home…this could be free money to help you move on with your life. Seriously, this is real. Please pass this on to all your friends. You are entitled to a free independent foreclosure review which may also reveal actionable items which you can privately sue your servicer for their misdeeds. These are fully admissible evidence because they are direct from the government and is very hard for the servicer to refute in court. However, you must submit your request by July 31, 2012.
free independent foreclosure review, click here. Please forward this to your friends. This is important. 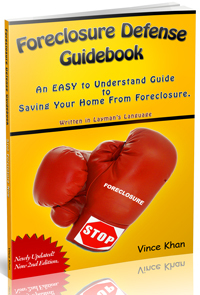 For more information about how to stop a foreclosure and stay in your home, download our free ebook (over 100,000 copies already downloaded). We respect your privacy and will not reveal your information to anyone for any reason.